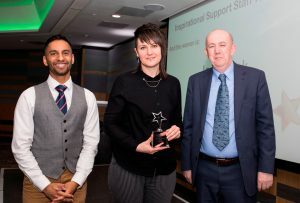 This award recognises the work of an inspirational member of support staff for high potential learners. Reason for Nomination: Jodie is an outstanding tutor who creates a rapport with all of her students, has won awards for her championing of LGBT and gone over and above in helping organise large scale educational events for her college. Judges Comment: The judges commented that Jodie was the clear winner in this category, both for her work in supporting learners to access the necessary work experience in medical placements to get in to Oxbridge, and for her work as an outstanding tutor and a champion of gender equality. Jodie’s nominators were clear that every setting needs a ‘Jodie Fink’!